Thanks to Patch 6.2.2 we are now able to fly in Draenor. It made getting garrison resources much more easier. There are two items obtainable in Tanaan Jungle called “Strahlender Apexissplitter“ and “Verdächtig leuchtende Truhe” that are spread all over the jungle. Armor and weapons ilvl 650! They can be found in the areas where Apexis dailies are located. Let’s pretend we have farmed 4.000 Garnisonsressourcen per hour and want to make gold out of it. Therefore we need a trading post (Level 1 is enough) where we can trade our resources for materials. The prices at the trading post vendors vary each day. It may happen that you have to pay 10 resources for one Draenischer Staub on Monday and on Tuesday it costs only 4. That means, we only buy when the price is at 4-5 ressources per dust. Depending on the server the price is at (27.10.2015) 2-3g per Draenischer Staub. For 4.000 Ressourcen we can get 1.000 dust which we can sell for 2.000-3.000g. If you don’t want to put things on the auction house, just buy Geschmuggelter Goldbeutel for 50 ressources. Each bag is 15,5 gold. For 4k resources you can get 80 bags and that equals 1240 gold. I prefer buying dust, since there are enough buyers. 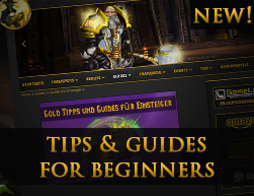 This guide is about making gold with the “trading post” (24.11.2014). Profit may vary on any given day. Level 1: You can start trading orders that gets you resources in return. You also can trade in resources for materials. Level 2: You can create an auction house bot for your garrison. Also, you get transmog items. For every working order you can get 30 garrison resources. How do I make gold with my trading post? We trade garrison resources for valuable items. You continuously get garrison ressources from your garrison stash, the lumber mill, treasures, rares or the trading post himself. We take a look at the auction house and what materials bring the most gold. In my case its Rohes Eberfleisch that is prices 40g each. Now we buy 5 pieces Rohes Eberfleisch for 25 garrison resources. That means, we got 200g for 25 resources. This rate changes from time to time. Another example is Draenischer Staub which is traded for 20g each on some servers. So if you don’t need the resources for your buildings you can get gold from them this way. How does the shuffle work? In our example we need 35 Taladororchidee for 7 working orders. Their cost is at 50-80g. For these 50g we get 120 resources and that means 20-25 Rohes Eberfleisch which we can sale for 25 x 40g at the auction house. We made about 700-1000g just with one trading post cooldown! Estimated time spent: 10 minutes! Needless to say garrison resources are too valuable to spend on this stuff. But i think we will get enough of them that we can make gold with it.